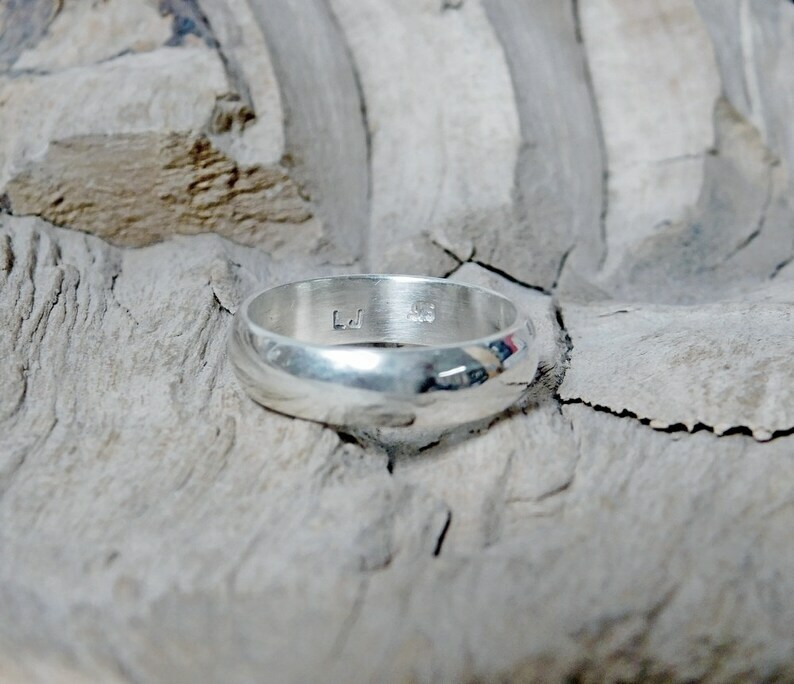 This traditional style wedding band is made from recycled Sterling Silver. This ring comes in your size. It is 5 mm wide and hand made by me. If you would like this ring in any other type of finish just tell me the style you would like and I will do it. I can make this ring in many othr metals so if you have an idea just let me know.